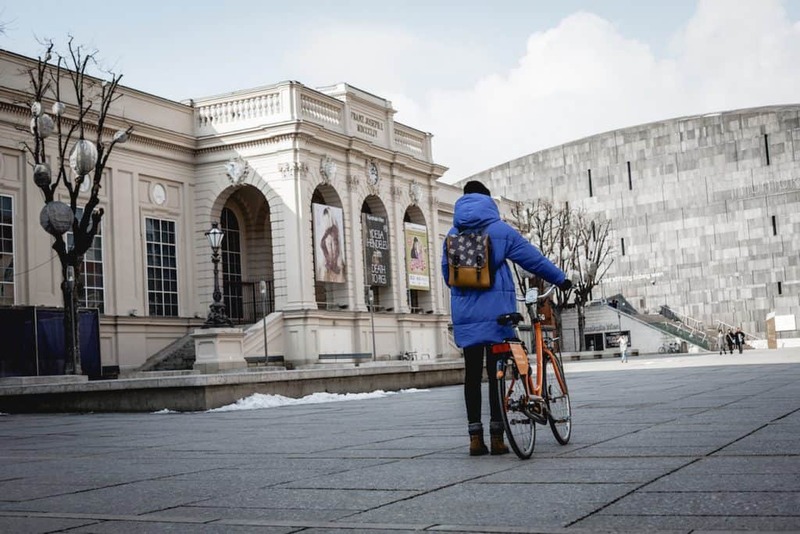 This is a guest post by Eva, from MyCityHighlight, showing you the best way to explore Vienna on two wheels. Biking through Vienna is one of the greatest things you can do here. 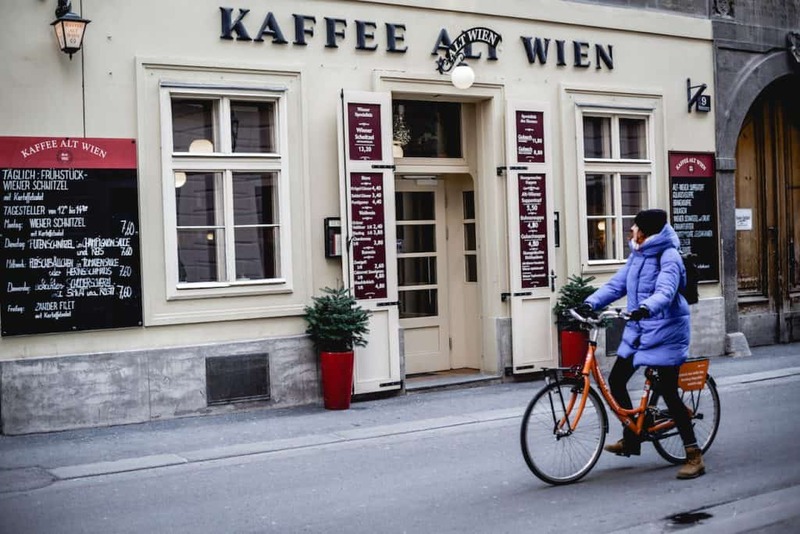 The Viennese pursue one goal: more biking means better quality of life. 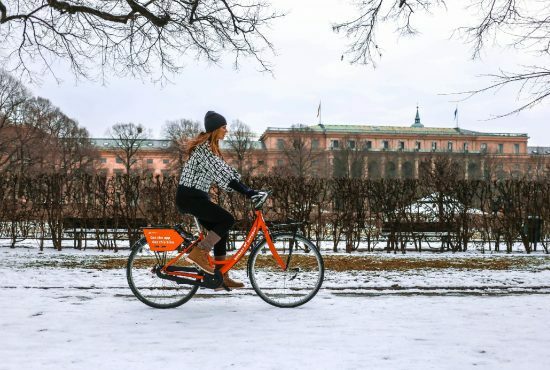 We have cycle paths of more than 1,300 kilometers which offer you the best angle to get to know the city or just to go from A to B the fastest. On the bike you can have a different view of the city, you are faster than if you were walking but slow enough to discover Vienna’s highlights. If you don’t have your own bike, that is no problem at all. 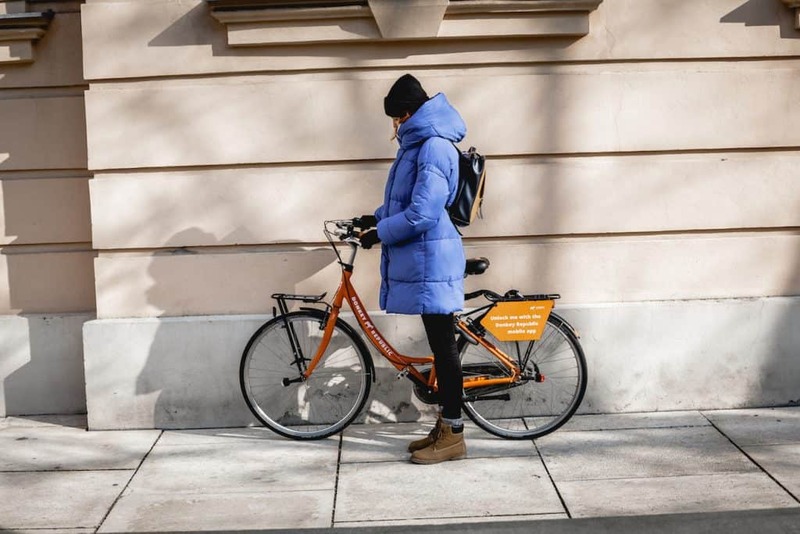 You can rent your bike in Vienna with the Donkey Republic app. Last weekend I took the opportunity and rented two Donkey bikes, one for my sister and one for me. I am the City Manager Vienna at MyCityHighlight, the most personal and all-in-one travel companion. My job is to always look for new secret places and new things to do in Vienna. It is really easy to get your Donkey, you just have to download the Donkey Republic app, turn on your GPS and Bluetooth and connect your mobile phone with the smart lock on the bike. 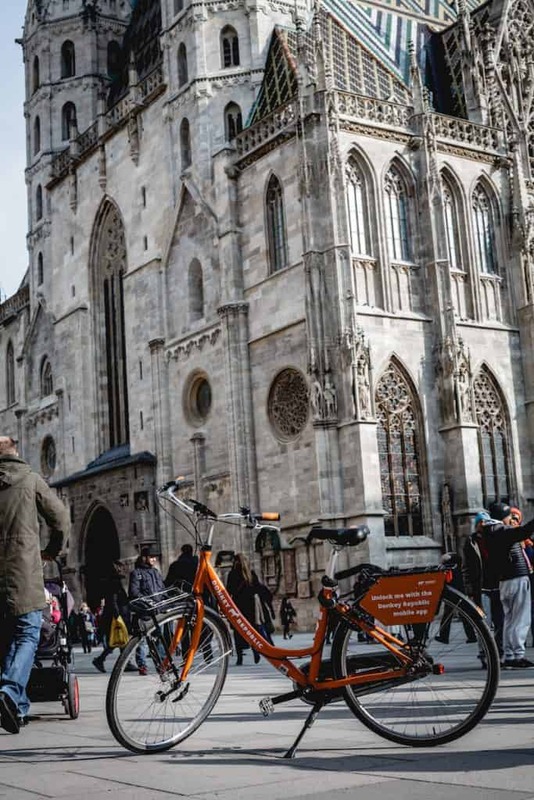 It only takes a few minutes to get your rental bike activated and so you can start to explore Vienna on two wheels. It was a great day, sunny and not too cold. We started on Mariahilfer Straße and cycled to the Museumsquartier, Maria-Theresien-Platz and afterwards to Ringstraße. There, you can cycle around the Old Town on the cycle path “Ringstrasse”. It is one of my favorite tours through Vienna because you see a lot and enjoy the time on your bike. We passed the Parliament, City Hall and the University of Vienna. After that we went into the first district to visit Saint Stephens Cathedral and the beautiful alleys behind it. 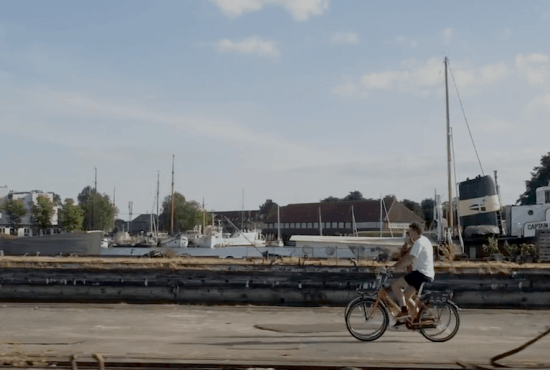 One of the great qualities of renting a bike with the Donkey Republic app is that you can always lock your bike whenever and wherever you want. That means if you want to take a break and get some coffee or food, you can lock it outside the cafe with just one click in the app. Furthermore, if you want to know more about the highlights you are visiting, you just have to take your mobile phone and use the free MyCityHighlight Vienna app. There you will find more about the sights history or some tips and tricks. The app also shows you which highlights are close to you and which ones you can cycle to. After we had some great coffee at a typically Viennese coffee house, we continued cycling through the beautiful city. We reached Schwedenplatz, where we went down to the Danube canal. This canal offers you 17 km of car-free cycling paths next to the Danube and nature. We enjoyed the sun and the amazing atmosphere on our Donkey bikes. On our way back, we re-entered the cycle path “Ringstrasse” and visited the beautiful Vienna State Opera. We cycled back to Mariahilfer Straße, where we rented the bikes from and returned them. That was very easy too, just two clicks and that’s it. However, this is not the only cycling path I can suggest. If you have more time and also want to visit Vienna’s green spaces, you can go to Prater Hauptallee and enjoy pure nature. As City Manager Vienna I can definitely recommend renting a Donkey bike, the operation is really easy, everything happens through the app. 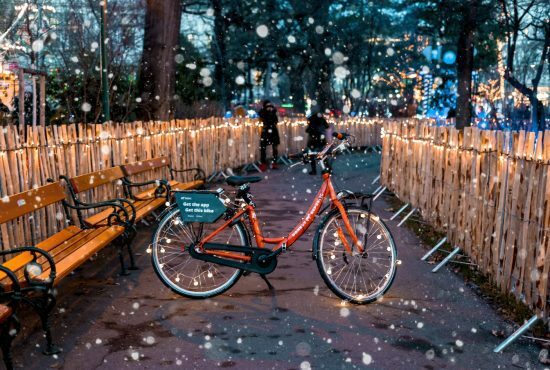 So, if you plan your next stay in Vienna, rent a bike with the Donkey Republic app and discover Vienna’s wonderful places on your Donkey, place your phone in the bike’s phone holder in front and keep the MyCityHighlight Vienna App open.